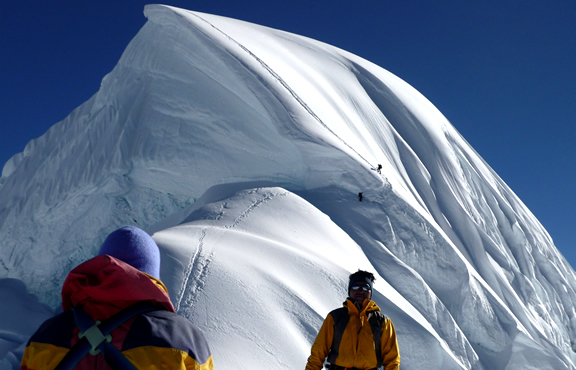 Is an adventure travel company it is a legally company with own operation in Huaraz – Peru. We offer a good quality service for outdoors sport lovers such as trekking ,climbing , mountaineering, fishing, , mountain bike , horseback riding, tours . Around the Cordillera Blanca, Cordillera Huayhuash, Cordillera Raura and Cuzco. Our company counts with a record of well organized quality service of adventure trips and expeditions. 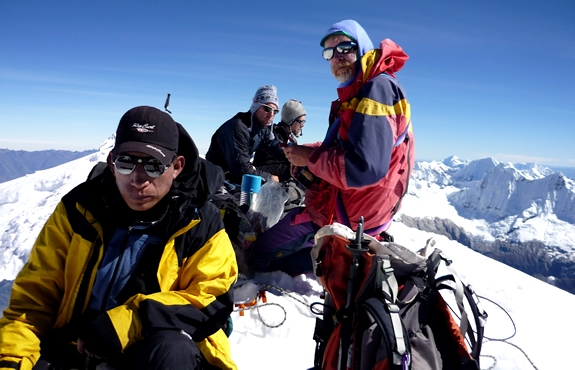 We have only friendly professional mountain guides for your safety in the Peruvian Andes. We has worked for European and American companies such as Wilderness Travel, Dav Summit Club, High Places and We had gained many high recommendations and lot of experience and now He is a conduct organize offers services the trekking climbing expeditions. An astonishing journey extraordinary and inspiring. 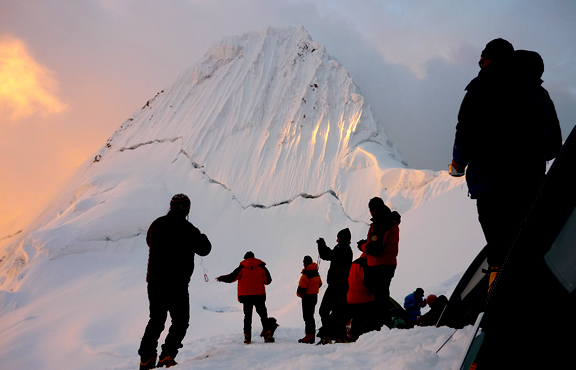 Two young British friends, traveled to a remote corner of Peru ambitious mountaineers, their aim was to conquer the unclimbed west face of a notorious 21.000ft peak Siula Grande. Their story has become part of mountaineering legend. Extending almost 180 km. From north to south, largely is within the Huascaran National Park .The cordillera Blanca has a total 663 glaciers 30 of them at 6,000m. Include Huascaran 6,768m. 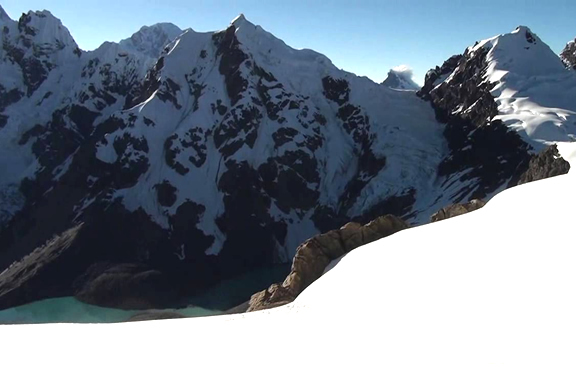 Usually the hike around the Cordillera Huayhuash begins in the city of Chiquian 3,400m. 111 km. south of Huaraz, 50 km. 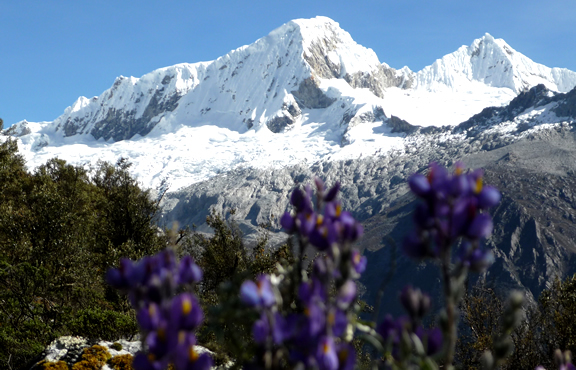 of the south east of Cordillera Blanca. 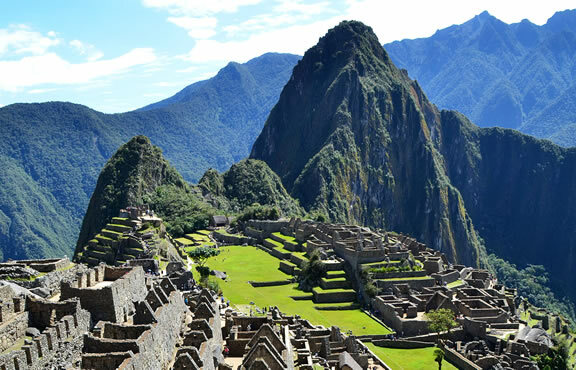 Machu Picchu on the Inca Trail, is one the most popular trek in the Andes, Peru and the world, What makes inca trail trek so special is, its richness biodiversity, salkantay trek. 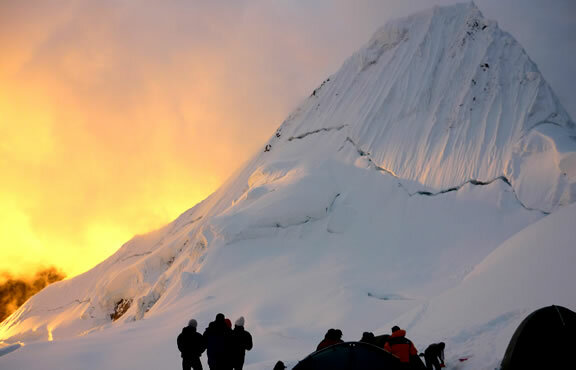 In 1966, the Alpamayo mountain was declared "the most beautiful mountain in the world" due to its Pyramidal shape and its dead ice (hard Ice), and requires technical skills, climbing experiences. Trekking and Climbing, first trekking will provide to get good acclimatization, there are many combos options in the Cordillera Blanca, Cordillera Huayhuash it include Salkantay Machu Picchu Trek and Pisco climb. 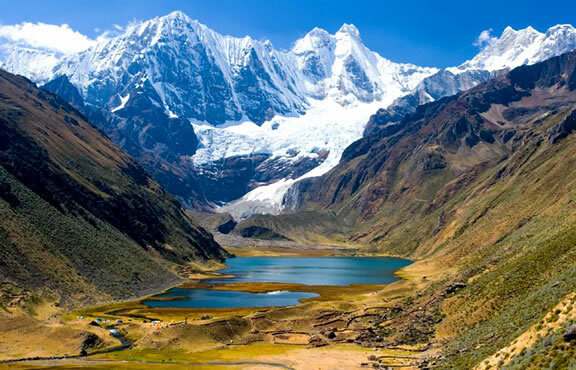 The full circuit of the cordillera huayhuash is one of the most beautiful and impressive , the full trek takes approximately from 12 to 14 days ,winds through sucha yerupaja at 6,634m. Manu National Park was established in 1973 and in recognition of its uniqueness was designated a ''World Heritage Site” ten years later. 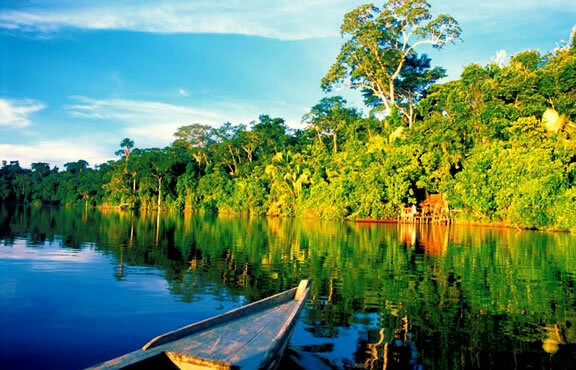 Manu is internationally acclaimed as one of the most bio diverse areas on earth.